Paul Veisze has over 30 years experience in Geospatial Data and Technology. His undergraduate studies were in renewable natural resources at UC Davis; his graduate education was in forest ecology and wildland fire, with a Master of Forestry degree from UC Berkeley in 1985. 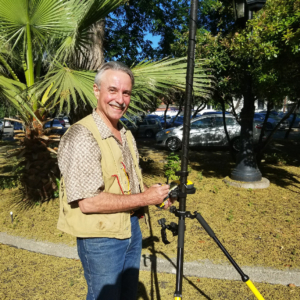 Paul has worked in the private sector as an aerial photographer and pilot, and for federal and state agencies as a researcher and GIS manager, and as adjunct faculty in community college and at UC Davis Extension. Paul joined California State Parks in 2007 as its first Geographic Information Officer, responsible for policy and operations of the Department’s statewide, Enterprise GIS.